The final episode in our Festive series Katia from Bio Valbonne our first French interviewee pops on to reflect on her first year in business in 2017 and 2018. There is noise in the background as we recorded in her shop! Originally from The Vosges area Katia Laouar enjoyed her time here before moving South. She spotted a gap in the market and opened the Bio Valbonne grocery in March 2017. Her background was helping her parents in their shop the Cremerie du Cap . 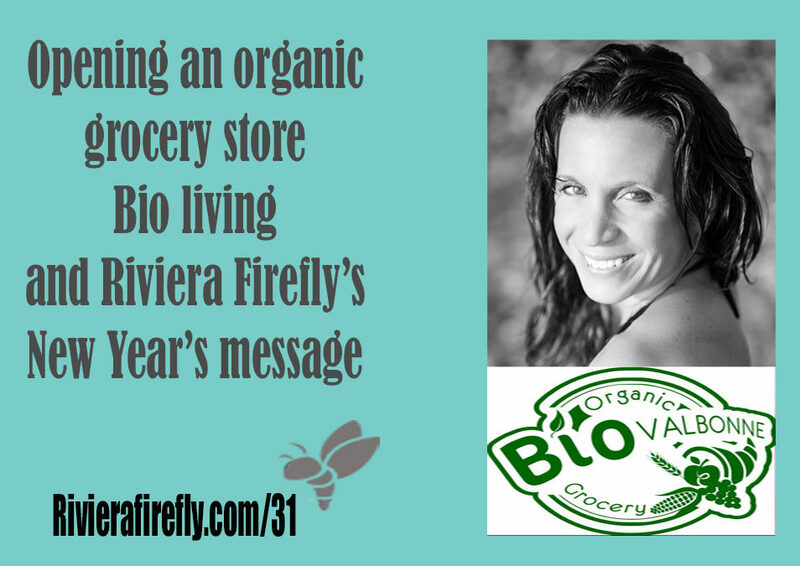 This helped her to eat well and have a passion for good food, whole foods, gluten free , organic, vegan offerings. Bio Valbonne work closely with local artisans for Fresh produce bread, cheese, cookies, delicatessen and pukka teas. When thinking about opening a business: Focus on your ideas , visualise what you want, be flexible with the idea and believe in yourself. Ensure you understand about all the paperwork and administration that feeds into your business plan. Marketing – Katia looks for cost effective ways using the internet . Maximising visibility via Facebook and Instagram. Work your network. She tailors what products they provide to their customers. Challenges have been the hours needed to run the shop. So need energy and balance internally to be able to cope with the demands. Vegan and Vegetarian how ready is the French market? Valbonne is an open village, dynamic and international. Katia likes to do sport to balance her energy Crossfit in Antipolis, goes running near the sea on the Cap d’Antibes. Swimming in the Olympic swimming pool it’s heated and open air.